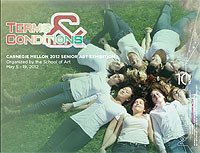 Check calendar for exhibition dates. 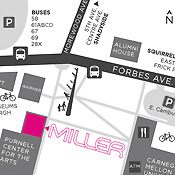 The MILLER GALLERY is CARNEGIE MELLON UNIVERSITY's contemporary art gallery. The Miller Gallery supports experimentation that expands the notions of art and culture, providing a forum for engaged conversations about creativity and innovation. 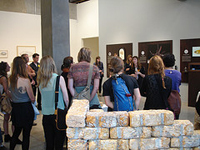 The gallery produces exhibitions, projects, events and publications, and is free and open to the public. "For the last four years, the School of Art has developed a new collection for premium existence in the contemporary world... We are excited to share with you the products of the future." Exhibition + events are free and open to the public. Additional venues to be announced. 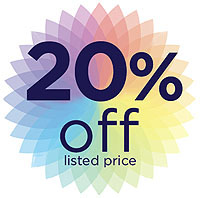 For a limited time receive 20% off all T-shirts, playing cards, postcards, and select publications, videos, and posters from the Miller Gallery's current and previous exhibitions.